Among those released from captivity are servicemen, civilians, and journalists. 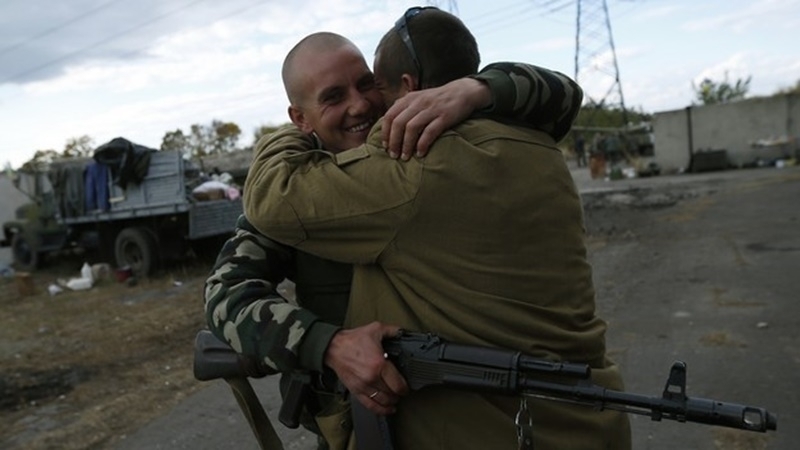 Over the three years of the conflict in the East of Ukraine, 3,138 people have been released from the captivity of the militants. Yuri Kachanov, the Head of the Joined Center of the Security Service of Ukraine for coordinating the release and search for persons and hostages who have been illegally deprived of liberty, made a corresponding stated within the framework of the roundtable, QHA correspondent reports. According to him, the center initiated and kept record of military personnel and civilians who were unlawfully deprived of their liberty or were missing. “Over the time the record is kept, that is since April 7, 2014, with the assistance of the center, 3 thousand 138 people have been found, and also released. Among them were servicemen, civilians and journalists," Kachanov spacified. Earlier, the Security Service of Ukraine announced its readiness to hand over to the militants 309 people in exchange for 87 Ukrainian hostages who are kept prisoners in the Donbas.